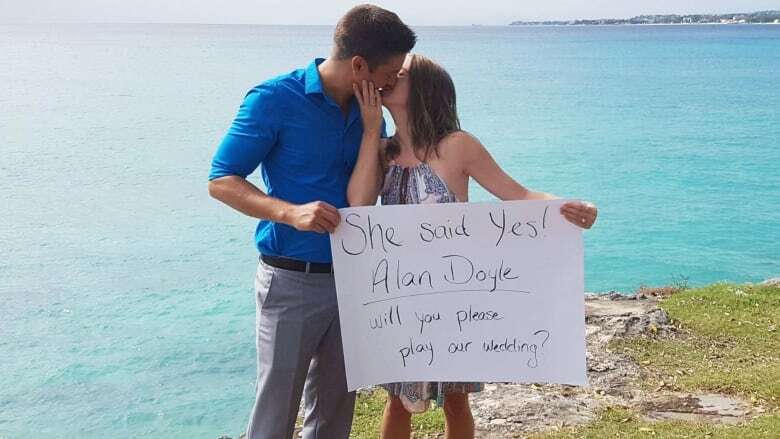 Stewart Dowd and Dana McKinlay say Alan Doyle has always been a part of their home, and now they're hoping he will be a part of their wedding too. The couple, now living in Calgary, has lived all across Canada, in Australia and southeast Asia. The Newfoundland singer, who launched his career with the band Great Big Sea, has been one of the constants in their lives. "We were in Cambodia and we were a little bit lonely," Dowd remembers of one of their moves. "We were trying to get settled in. Just being able to put that music on and be together was something that really managed to pull us back home." The plan to attract Doyle started casually. "We would just spend nights in our kitchen. Stewart would cook, I'd drink wine and we'd be blasting Great Big Sea in our apartment," said McKinlay. "It was just like, 'Wouldn't it be cool if Alan Doyle played our wedding?' And there it was, just kind of out there." As the wedding planning continued the idea became more concrete. Dowd wanted an island wedding and McKinlay wanted a down-home wedding. P.E.I. was the perfect compromise. The couple met on the East Coast, and Charlottetown was their favourite romantic getaway. 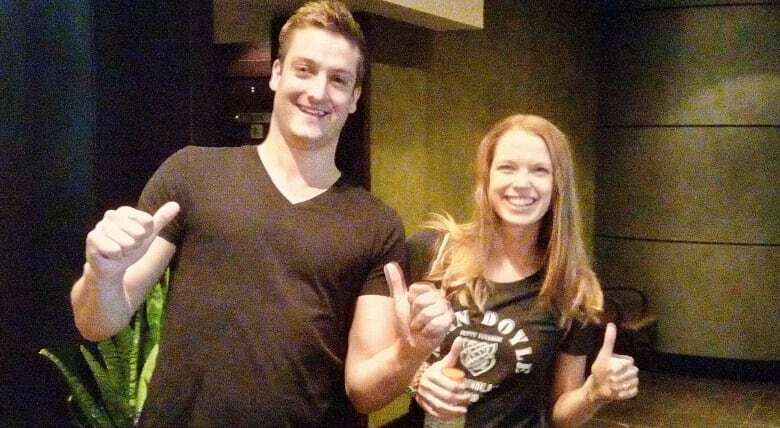 Once they decided on the East Coast, the idea of having Alan Doyle there grew stronger. Neither of them was a Twitter user, but it seemed like a platform where it might be possible to attract Doyle's attention. They looked at Twitter and saw no one had tried it before, so they decided to give it a go. "The plan … was to send Alan a message with this account and tag him in and just share stories about how his music has impacted our lives," said Dowd. A spokesperson for Alan Doyle told CBC News the singer is aware of the campaign and he is not ruling out going to the wedding, but it will depend on scheduling. "I don't think I'd stop crying for a year and a half if he actually showed up," said McKinlay. "It would just be amazing. He's such an extension of our home." Twitter: Alan Doyle, will you play our wedding?